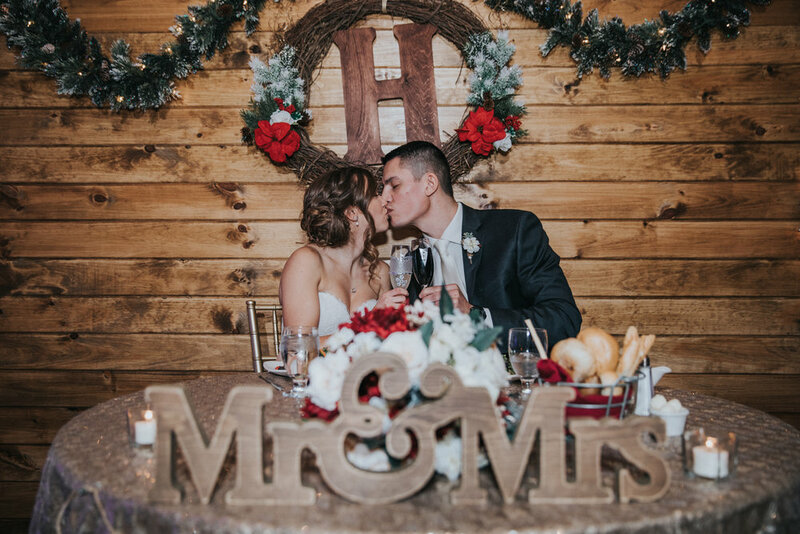 When I first spoke with Sami over the phone about her rustic winter wedding and how she and Nick have been waiting forever for this day, I had a feeling working with them would be completely enjoyable! We talked about how they connected in college and the details they were planning. They had hoped their engagement photos could reflect their romantic and natural style. I knew of the perfect place, Batsto Village! We just about melted at Batsto Village during their engagement session. It was extremely hot and humid. I was so thankful that I stopped for bug spray because I’m confident that we had to use the whole can! As hot as it was, the session was also so fun and memorable. 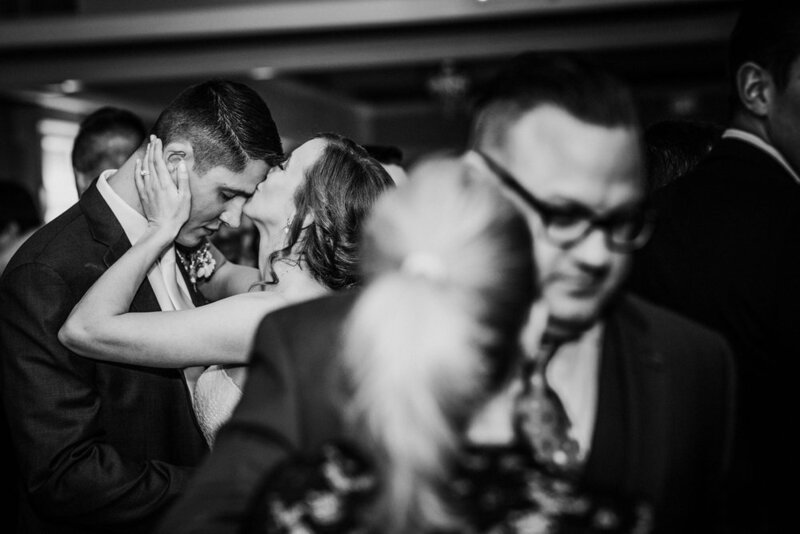 Sami and Nick are so naturally in love, that photographing them was a dream. As a added bonus, they brought their puppy and new addition to their family: Remi! I knew that when their wedding day came, they would be very comfortable. Remi also was an essential part of their wedding day, so its a good thing she had practice in front of the camera too. As hot as their session was, their wedding day was total opposite. No matter what the season or drastic temperature, Sami & Nick were always smiling. Sami and her bridesmaids were dressed in matching flannel shirts as they were pampered by the hair and make up team in the bridal suite at Blue Heron Pines Golf Club. I began to photograph Sami’s details which were well-planned. The locket and engagement ring holder added beautiful personal touches to her pieces. 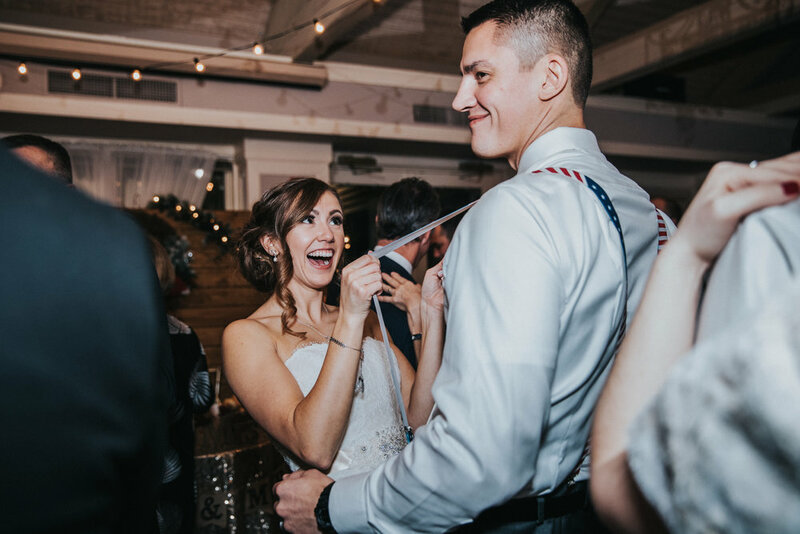 Since Sami would get married and celebrate all night in the Blue Heron Pines Ballroom, it made sense to photograph her dress hanging from the wooden beams as a main feature! The men prepared for the day at the Residence Inn by Marriott and kept Nick calm with pizza and jokes. Remi was there to help too. Before he knew it, it was time to stand outside in the thirty degree weather for the first look and wait for his bride-to-be! Cue the freezing wind, numb hands and toes along with ice for Sami and Nick’s romantic and rustic winter wedding. Everyone in their bridal party and families were so patient and positive about the freezing temperatures. Sami was very brave and even opted not to wear her fur shaw to show her beautiful wedding dress for a lot of the photos. We were able to capture Sami’s first looks with both her father and Nick, as well as their bridal party and family photos before taking a small break indoors to warm up for photos of Sami and Nick. Despite being frozen, they kept one another warm and happy! Their ceremony was done by a friend and their parents and families watched on with huge smiles as these two college sweethearts promised forever to one another. They opened their reception with bridal party introductions which included one couple swapping clothes! This ranks as one of the most creative ways to enter a ballroom that I have seen yet. 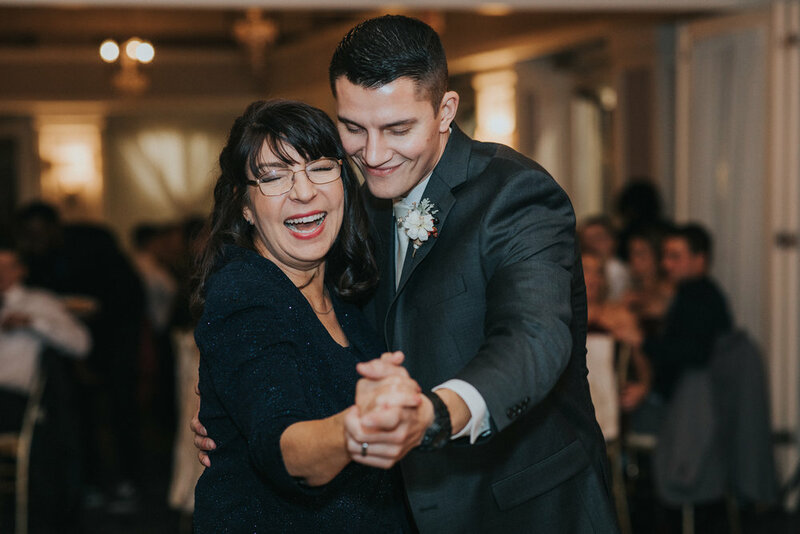 Sami and Nick enjoyed their first dance as a married couple and then invited all family and friends to join. After a few touching toasts to celebrate their new union, they danced the whole night non-stop!